The apostle Paul writing this letter inspired by the Holy Spirit to the church at Philippi in verse 15 of this same chapter had commended this group of believers for being the only church that consistently gave to help Paul preach the gospel. Because they had done so he makes this declaration that God would supply all their need. He knew this to be true for God had said in Genesis 8:22 as long as the earth remains this law will be at work in the earth, seedtime and harvest. Jesus Himself said if you give it shall be given unto you. God established this governing law in the earth as a way to take care of us. If you sow financially as scripture teaches you will reap, it is that simple. Jesus also said where you treasure is their your heart will be also. If you are grateful for the salvation Christ has given you, then you will freely give to the work of the gospel. In doing so you put your faith in God and you put the law of sowing and reaping into effect. 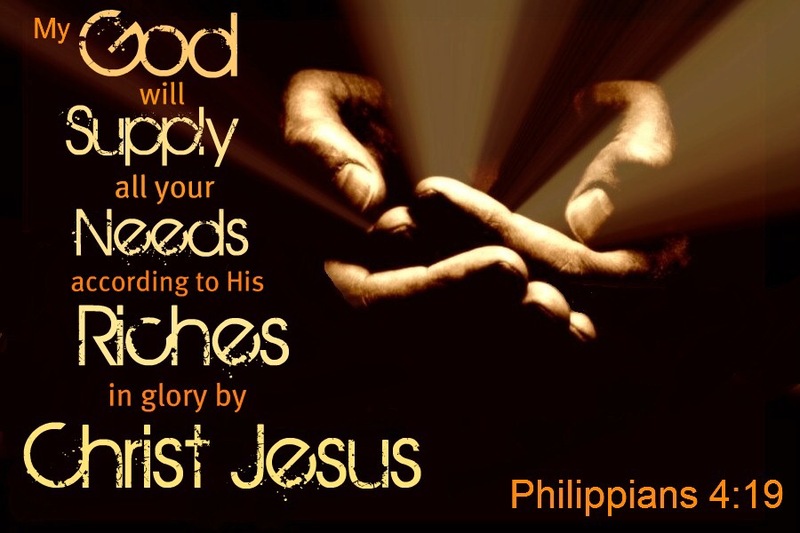 When you do God shall supply all your need according to His riches in glory.